The treatment center at Schick Shadel Hospital in Seattle, Washington has been using a treatment called aversion therapy – in addition to other common modalities such as individual and group counseling, Cognitive Behavioral Therapy and Relapse Prevention – to treat patients with serious alcohol problems. The idea is simple: most problem drinkers experience cravings for alcohol. These cravings are especially strong when drinkers are exposed to cues to drink, such as watching television shows or movies where actors are shown enjoying alcoholic beverages. 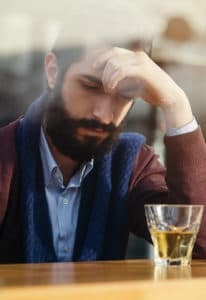 Cravings can lead to seemingly automatic behavior: a drinker who had decided to be abstinent sees a television show where an actor is drinking scotch on the rocks, his favorite drink. Suddenly, he’s walking to the local bar and ordering one. Since it seems to be very difficult to make a rational choice at the moment of craving, cravings are a driving factor in ongoing problematic and even dangerous drinking. So how can we defeat cravings? Aversion therapy is designed to make a person feel disgusted by the thing he or she craves. In this treatment, patients enter a treatment room where they are given an injection of emetine, a drug which induces nausea. Emetine is the active ingredient in ipecac. They are then invited to smell their favorite drink and swish it around in their mouths. At the moment that nausea peaks, about five minutes after the shot is administered, they are told to swallow their favorite drink. Vomiting immediately ensues, resulting in a Pavlovian counter conditioning to alcohol. This treatment is administered inpatient, every other day, for ten days. A number of different types of aversion therapy have been experimented with since the first half of the 20th century. Some, such as gay conversion therapy, have proven highly unsuccessful and today are considered unethical. However, chemical aversion therapy as instantiated at Schick Shadel has demonstrated high success rates among people who are motivated to abstain since the 1940s. This is because it involves a basic survival instinct known as conditioned taste aversion. Humans, and many other mammals, are hard-wired to avoid things which make them vomit after eating them. Numerous studies have demonstrated that conditioned taste aversion therapy, i.e. aversion therapy which results in vomiting simultaneous with the ingestion of something, is highly effective. That is because taste aversion is a hard-wired survival mechanism which helps us to avoid spoiled or poisonous foods. This might remind you all a bit of A Clockwork Orange, but that was fiction and counter-conditioning does not work that way in real life. Researchers at Shadel found out early on that they could not condition people against their will. People who really wanted to drink only needed to force down a few drinks to break the counter conditioning. 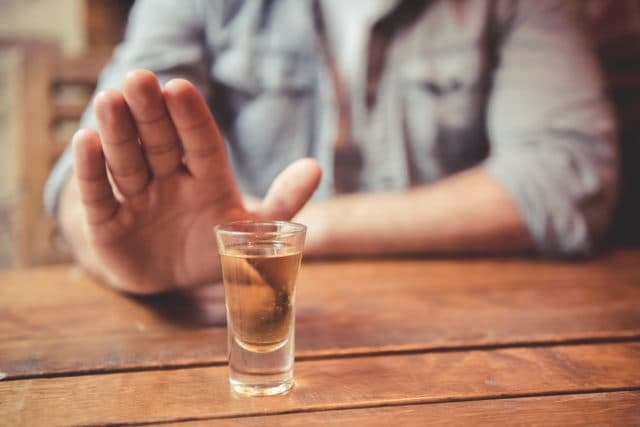 However, for people who really wanted to abstain but had a hard time maintaining abstinence, the Shadel method proved to be a great boon in removing the desire for the first drink. A 2017 study conducted under the auspices of Washington University at Schick Shadel Hospital recruited 13 participants, 77% of whom were men and 23% women. Their ages ranged between 29 and 55. These patients had already checked themselves into Schick Shadel, and all qualified as having alcohol use disorder under the Diagnostic and Statistical Manual (DSM) IV, the text by which clinicians categorize psychiatric problems, including substance use disorders. They reported long term alcohol problems, ranging from 10 – 34 years with an average of 18.7 years. Patients with psychological disorders, serious head trauma, learning disabilities and other medical conditions that would make it unsafe for them to take the treatment were excluded from the study. After the first ten days of inpatient treatment, patients returned to the hospital for an overnight aversion treatment 30 and 90 days later. The study group followed up with them for a year to see if they maintained abstinence and to monitor their craving levels. Treatment consisted of four aversion sessions during the initial 10-day inpatient period and five additional reinforcement sessions given between the 30th and 90th day after completion of the initial 10-day inpatient period. After a year, 69% of patients were still abstinent, by self-report. This study did not only rely on patient self-report of their experiences, however. Using a technology called Functional Magnetic Resonance Imaging (fMRI), researchers scanned patients’ brains to see what their brain’s response to alcohol related cues was before and after treatment. Patients brains were scanned with the fMRI before they started aversion therapy, and then after the fourth of five sessions. Researchers assessed patients’ brain reactions to alcohol cues by first asking them detailed questions about what and how they liked to drink, such as what is your favorite brand of scotch? They also asked patients what activities they enjoyed that were not alcohol-related at all, such as walking on the beach. They did this to create what is called a “control,” a measure of how the patient’s brain acted in its normal state of pleasure, but without alcohol. As was consistent with patients’ self-reports of cravings, the University of Washington fMRI brain scans showed significant pre- to post-treatment reductions in craving-related brain activity in the occipital cortex. Patient cravings were also measured 30 minutes before each fMRI session by asking them to rate their craving on a 0 – 10 scale, 0 being strong aversion, 10 being strong craving. Patient self-report of craving seemed to match up with fMRI scan results. Given these results, aversion therapy seems to show a great deal of promise for helping people with long-term alcohol problems overcome them. It is unfortunate that chemical aversion therapy has fallen into disuse since the early 1980s since it shows considerable effectiveness, particularly for people who are failed by other approaches. However, we should also bear in mind that this is a treatment for people who want it and is not effective when given against a person’s will. A plan by an Alaska mayor to send homeless alcoholics to Schick Shadel against their will is not only a human rights violation, it was proven ineffective by Shadel research dating from the 1940s (Lemere, F, Voegtlin, W. L., Broz, W. R., & O’Hallaren, P. Conditioned reflex treatment of chronic alcoholism, V. Type of patient suitable for this treatment. Northw. Med., 1942, 4, 88-89. ).